As a double major in management and finance with a minor in history, I’ve always had a sweet spot in my heart for historical figures that work in a business or financial way. One such man that has peaked my interest is Sergei Witte. Mr Witte was the Minister of Finance for the Russian Empire from 1892 to 1903 and also chairman of the Committee of Ministers from 1903 to 1906. 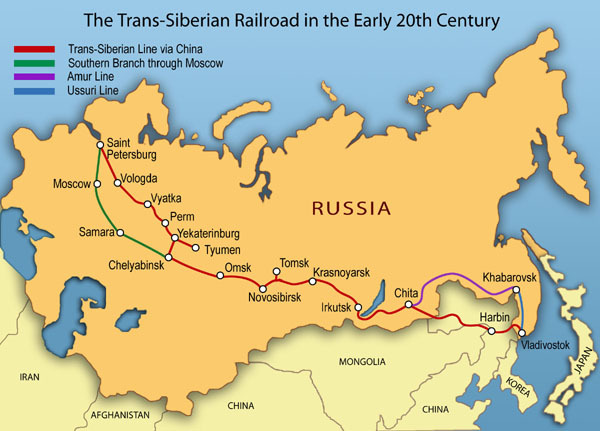 Sergei’s work as the Minister of Finance started off with his work on the Trans Siberian Railway. As a business oriented man he knew that in order to start industrializing, one needs capitol and a delivery system to transport goods. At the time of his employment Russia had a cost ineffective way of exporting and maneuvering goods from one side of the empire to the other. As a result transportation of goods was slow and more costly than they needed to be. Sergei knew this and oversaw the construction of the railway to ensure it was cost effective. After some research I also found that during his ministry he set up vocational schools to help educate the public. This was a wise investment at the time because an uneducated public cannot function nearly as well in an industrialized empire when compared to an educated one. Another move Witte made to help industrialize Russia was to change the way they traded with other empires. Witte said this in one of his reports to the Tsar, “If in our present situation we cannot satisfy all our demands from our own resources and have to resort to purchasing abroad, it will be more advantageous for us to buy not finished goods but capital, which is one of the most necessary productive forces, particularly in industry.” If Russia ever wanted to industrialize as a nation they could not afford to continue trading for manufactured goods but instead need to purchase goods that can be transformed into capitol. Another way Witte revolutionized the Russian economy was by putting the Russian currency, the ruble, on the gold standard. By doing this it allowed for easier investment and an influx of foreign capitol which Russia desperately needed. After being transferred in 1903 from the Minister of Finance to chairman of the Committee of Ministers Witte’s sphere of influence decreased economically but increased politically. At the time Russia was fighting in what is now called the Russo-Japanese War and Witte was called upon by Tsar Nicholas II to help with the peace negotiations. Witte negotiated effectively making Russia lose very little even though they failed on the war effort. Witte’s greatest political achievement however was his creation of the October Manifesto. The October Manifesto was heavily influenced by Witte and he wrote that the new government that was forming after the Russian Revolution of 1905 should include an elected parliament, bill of rights, and the creation of a constitutional monarchy. Unfortunately for Witte, he did not last long after his ideas were put into place. The State Duma which was came into power after the first election believed that Witte was aiding them in their goals so they made Witte resign. 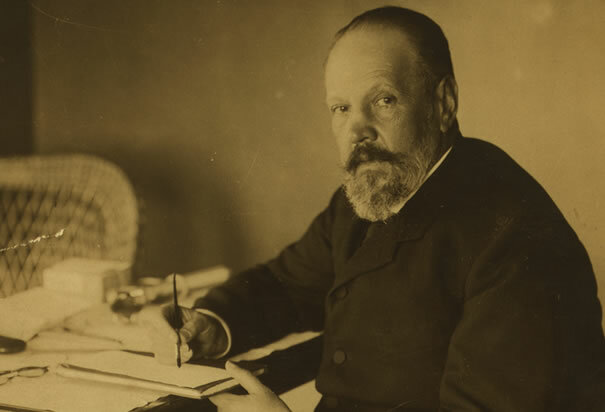 Although Witte was not officially in an authoritative role, he remained an influential mind even advising the Russian government to not enter World War I. Sergei Witte was an incredibly influential man in an empire that was in desperate need of change. His work financially and politically molded Russia out of a backward empire and into an industrialized nation that would soon become one of the strongest nations in the world. I like how this post goes into detail about various ways Witte impacted Russian development, not only through economics, in his original position as Minister of Finance, but also industry and politics. This involvement and authoritative positions in multiple sectors illustrates his strong influence in Russian history. Did you find out what happened to him after he wrote the October Manifesto? How much of an influence was he to Nicolas II or the Duma? Did he sympathize with the ingelligentsia or workers or was he trying to keep the Tsar in power? Witte’s quote interests me. According to Freeze, Witte implemented or continued a number of policies. One of them was high protection tariffs, which made it difficult for grain producers to purchase the machinery, fertilizers, and chemicals (in other words, capital) needed to increase their grain yield. A bit of a conflict here. Though no one can’t say that Witte’s policies didn’t spur the industrial growth of Russia in the early 20th century. This post does such a fine job of situating Witte as a statesman and reformer. The quote you use from his report to the Tsar about the need to borrow from abroad really highlights the challenges the regime faced. It’s nice to see Witte appreciated! If only Russia had more men like Witte. A sort of secret capitalist that seriously improved Russian infrastructure and business. Its too bad that he basically layer the bricks for the Communists to be successful. I had never heard of this man before, but he definitely does sound like a winner. Sounds like the type of guy a lot of countries could use right about now.